Though she's been singing for most of her life, Susan Cowsill has never gone solo before - unless you count a couple of early '70s singles that you'd have to hire a detective to find. Now, after her famed childhood with the Cowsills, her ten years with the Continental Drifters and too many guest appearances to list, Susan has finally recorded her first solo album, entitled Just Believe It. Rolling Stone praised Just Believe It as "The hardy, heartbreaking sound of?a bar-band angel?in the prime of her singing and songwriting life. Rolling Stone praised Just Believe It as "The hardy, heartbreaking sound of?a bar-band angel?in the prime of her singing and songwriting life." The Washington Post proclaimed "As good as Cowsill's voice is, her smart, emotional songwriting is her biggest asset." All Music Guide raved "Cowsill has stories to tell and she tells them with a skill and vigor that never lets artifice get in the way of cutting to the emotional truth? Quite simply, debut albums are rarely as moving, as revealing or as accomplished as Just Believe It. This is masterful music from a major talent." Not many people were singing on hit singles and touring the world when their friends were still in kindergarten, but The Cowsills became a cherished part of '60s pop culture. As the role model for television's Partridge Family, and a fine act in their own right, they had three top-ten singles with "Hair," "The Rain, the Park and Other Things (Flower Girl)," and "We Can Fly." Soon after those successes, Susan went into her first retirement at the tender age of 12. The '80s found Susan working with cult figure Dwight Twilley, her harmonies adding sparkle to many of Twilley's greatest tracks, including his hit single "Girls." Pop lovers could also spot her guesting with Redd Kross and the Smithereens. In the early '90s The Cowsills launched a fullfledged reunion, with new songs in a solid powerpop vein, and released the Global album, becoming cult heroes all over again. More guest appearances by Susan during this time were on two Hootie and the Blowfish records, Jules Shear, Kate Jacobs, and Giant Sand. Susan's life and music took a fateful turn when she joined the popular roots-pop combo, the Continental Drifters. Susan's exuberant stage presence and beautiful vocals proved an asset to the band. The Drifters made three critically-acclaimed albums, all of which recorded Susan blossoming as a songwriter. The 1999 disc Vermilion led off with Susan's country-pop gem, "The Rain Song." One publication gloated, "...vocal on the chorus...is the most heartbreaking musical moment of 1999." (Gambit Weekly, Dec. 28, 1999) The song has since been covered by both The Bangles and Hootie and the Blowfish. And 2001's Better Day album found her contributing four songs (one co-written with drummer, Russ Broussard). No Depression magazine noted on these songs, "...are the stuff big-time solo careers are made of." Susan's Cowsill's solo album Just Believe It is the next logical step after the Drifters. Susan continues to write beautifully melodic songs, taking sympathetic looks at the imperfictions of life and love. 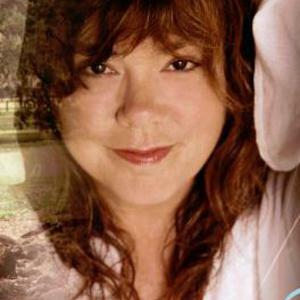 Susan Cowsill's gumbo sound springs from '60s pop roots with seasonings of Louisiana groove, country, and rock. Whether she's doing her own material or covering the likes of Sandy Denny or Lucinda Williams, she can always connect with a haunting tune and emotive lyrics. As Bilboard Magazine expresses, "Cowsill...mines a child-like vulnerability, as she employs her achingly tarnished voice to a simple and moving effect." Susan's songs and voice have all the ingredients and delivery for her to easily be a hugely successful 'crossover' artist.